Economy Series Mobile Chart Racks - Holds 32 Binders! Not every patient chart binder application is an intensive use situation. 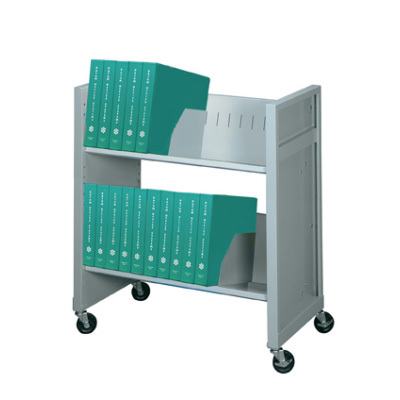 It is for this reason, Franklin Mills offers economical mild-use chart binder carts. Designed to be functional, flexible and at a price point that will fit into any budget. Holds 32 - 2" binders. Assembly required. Ships Fed Ex ground. Our slanted shelf design makes sure the binders will not fall out in tranport. Includes four (4) movable dividers per cart.